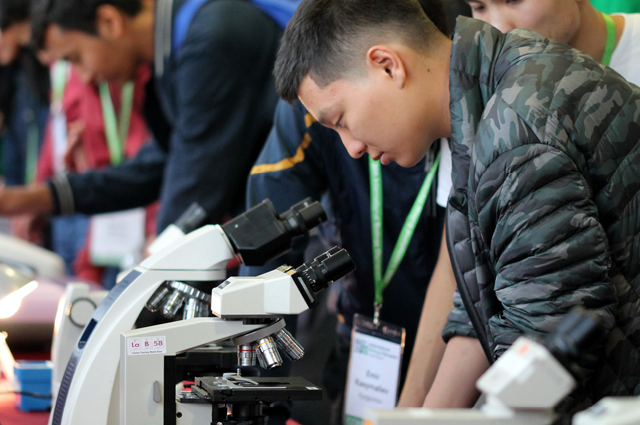 With the Opening Ceremony over, students settled in, and a good night’s sleep, the competition started in earnest on Monday. Today our competitors finally had the chance to get familiar with the lab equipment they will be using tomorrow in the practical exercise; meanwhile, the jurors were briefed on the content of the exam. At this point, the questions themselves are still a mystery to the students, to be revealed in the morning once they get into the lab. There’s a sense of anticipation in the air as the teams prepare for their first test. 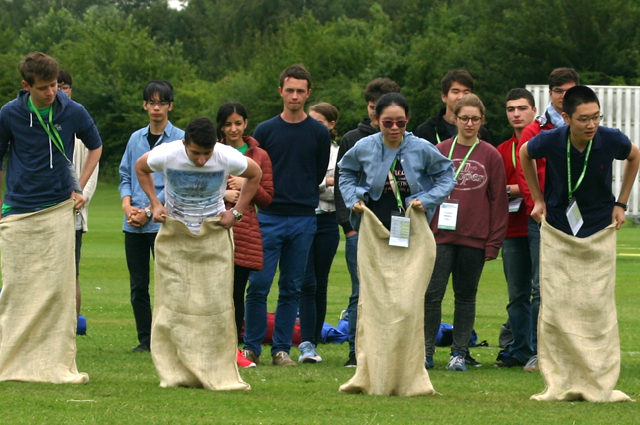 To ease the tension, the afternoon featured an authentically British cultural experience: a school-style “sports day”, featuring sack races, egg and spoon relay, wheelbarrow races, and more. All outdoor activities in Britain are at the mercy of the weather, and today luck was on our side. We even caught a few rays of sun in what seemed certain to be a thoroughly overcast afternoon. It was impossible not to enjoy the races being run with balloons between knees, bean bags on heads, and other mildly ridiculous constraints, and a thoroughly good time was had by all, runners and organisers alike. As the groups adjourned for afternoon refreshments, there was a real sense of friendship in the air. 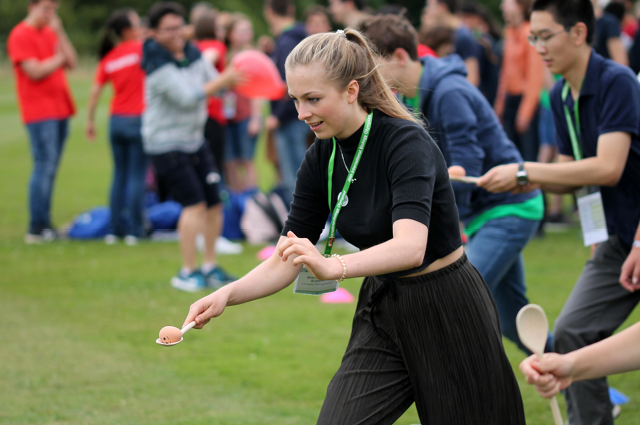 Playing it safe in the egg and spoon race! Until the exams are complete, a strict ban is placed on communication between the teams and their jurors: all Internet-capable devices have also been handed in for safekeeping. This can have an isolating effect on the students, and it means they’re even more reliant on their hosts, as well as other teams, for guidance and support. On the other hand, the atmosphere of mutual care that arises is really helping the teams to form good shared experiences, both with one another and with their volunteer guides. The IBO officially opened yesterday, but this evening (which marks the first full day of the Olympiad competition) it’s time to knuckle down as the teams are up early tomorrow morning, and most will be looking to get plenty of sleep beforehand. That said, it’s clear now how such pressure brings people together, and there’s a confidence that whatever happens, all the participants will have friends all around to help support them.